Last Friday November 27th, the Brandalism project pulled off the largest single Ad Takeover action ever. Some 80 artists were asked to submit works which were then printed and installed by a team of activists, resulting in over 600 individual ad takeovers. This unprecedented event took place on Black Friday, and directly ahead of the COP21 Climate negotiations taking place in Paris. Artists were asked to make works which spoke about climate change as the action was not only about advertisings role in our public spaces, but also about using the private advertising infrastructure to speak truth to the powers gathering in Paris to decide the fate of our planet. The recent Brandalism action works in two ways that I think are worth taking a second to discuss. 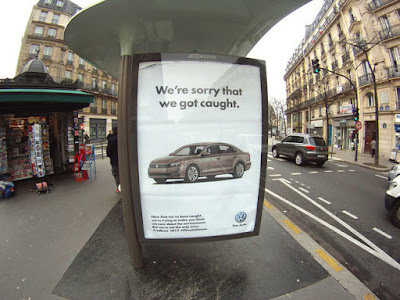 First, while advertising remains an integral part of our social fabric, creating and reiterating our culture back at us in an endless loop of dissemination and reception, the role it plays in fueling the issues which underly our climate crisis have not been widely discussed. Conspicuous consumption and the relentless renewal of products and services offered by, and needed in order to sustain capitalisms endless growth models, is in no small way responsible for the current crises our planet faces as we inch closer and closer to overshooting the carbon budget which would keep our planet under the 2degree estimates climate scientist believe will avert catastrophic planetary warming. This means that we must address our insatiable need for more and more stuff if we are going to create a collective society whose demands for goods will align with how much we can actually produce. This doesn't mean that you can't have new things, the benefits of modern technology and manufacturing, or must live a stoic life of abstinence from the goods and services that our society produces. But it does mean that we must address how much we choose to consume individually and weigh heavily our needs for what capitalism has to offer. Advertising as a medium, aims to disrupt a nuanced and practical analysis of your individual needs. Its objective is to create desire regardless of the implications of that desire on our society at large and this is in fundamental conflict with the interest of our planet. 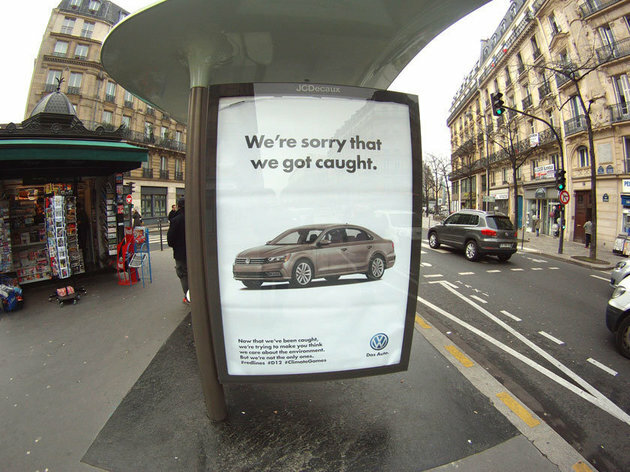 By illegally removing advertising on the street and replacing it with messages that address our climate issues, the Brandalism project is fundamentally rejecting the role advertising plays in our society and re-imaginging a world in which its influence is kept in line with our collective needs. If we are going to tackle the major issues of our day, advertisings influence on our collective psyche must be mitigated so that we can more appropriately discuss what, and how much we will consume individually. A good start to this mitigation would be admitting that advertising plays a negative role in our society by fueling over consumption and reducing its impact is of the utmost importance. The second aspect of the Brandalism project that I think is worth noting is that beyond questioning advertisings role in our society, the Brandalism project has re-imagined how our public infrastructure should be used and what types of conversations are appropriate for our public spaces. Most, if not all of the artworks/critical messages created by the participating artists, are social statements which do not have an institutionalized venue for communication in public space. Protests against how our society is moving forward are often relegated to marches, or individual commentary that take place outside of normal public behavior. Public space, by definition is the arena in which our collective goals and interests can be expressed to one another in a democratic and meaningful way. It is in this venue that our individual opinions, put together, create public opinion and we must foster this type of democratic discussion at every turn if we are to have our collective voices create a singular voice of our collective interests. To use our public spaces for advertising, and the interests of commerce is to deny public spaces role as our collective soap box and to privilege commercial speech over our individual interests. The Brandalism project, by using the public infrastructure that typically holds commercial media, for critical dialogue, re-purposes public space for its intended purpose. This is no small feat and by setting an example of a more properly function public space and civic infrastructure, the Brandalism project imagines a world in which we use our public spaces to address the most pressing issues of our time. While I don't believe that our public spaces must always be used to discuss such lofty goals, it surely doesn't hurt and a public space in which we can openly discuss larger societal issues is one in which we may also discuss some of the smaller issues which we deem to be important. To say that the Brandalism project was a success would be an understatement, but like all critical dialogues created by civil disobedience projects, its call to arms must be met with continued support. Fundamentally changing advertisings role in our public spaces should be one of the priorities that social activists have on thier agenda. Not only does advertising negatively contribute to our consumption behavior but it actively creates commercial conversations in venues which should be used for public discussions of the problems of our current days. Our public spaces should provide us with vigorous opportunities for debate and public discussions, not opportunities for commercial hypnosis that prevents even the most critical thinkers from seeing the world as it is and taking action to change it for the better.